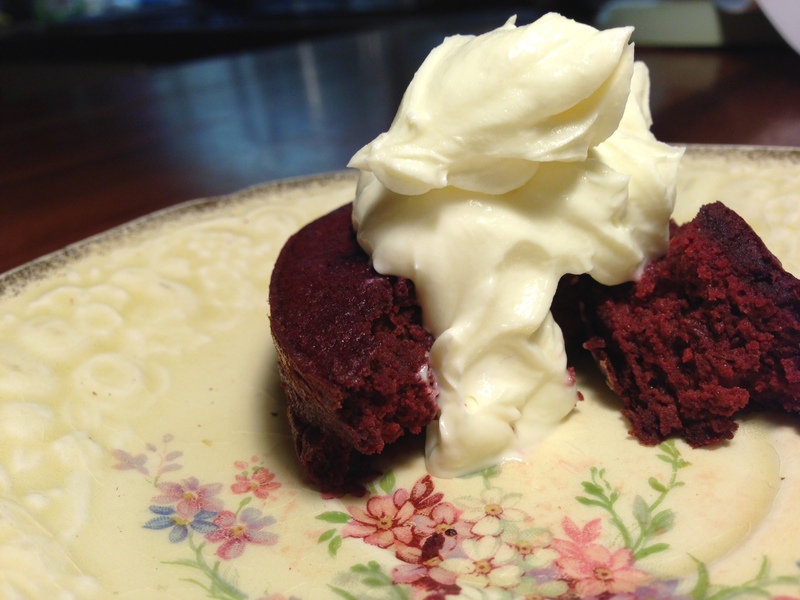 Home / Fabulous Food / Get your velvet on – beetroot style! Did you see Alisha’s post on the sorella & me facebook page yesterday in all its sugary goodness? Alisha’s perfect and delicious cup cake…. jealous much? 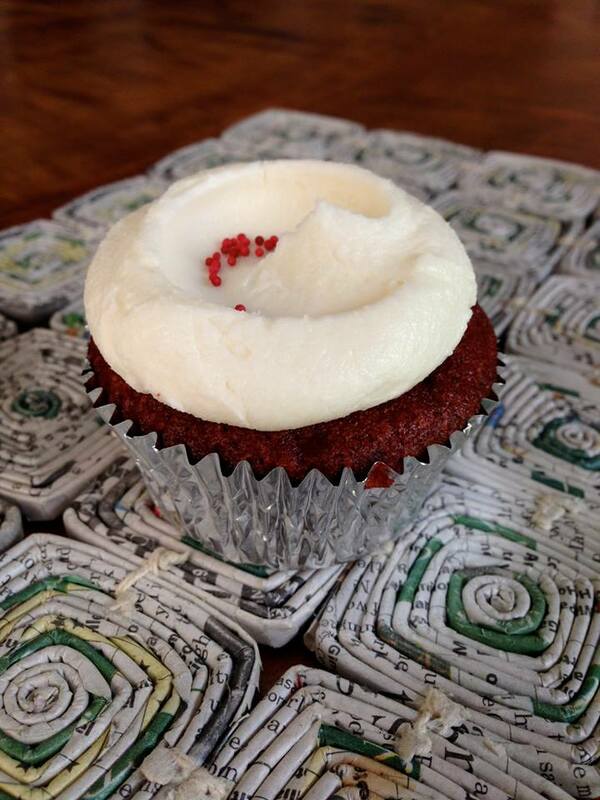 Right at 3pm – in all our dropped blood-sugar states – she thought she’d share a photo of a delicious cupcake. In my opinion, not only was it rude because it was at a time when a cup cake would have gone down quite nicely (I am cranky when I am hungry), but also rude because there are many of us who are trying really really hard to reduce sugar in our diets – and succeeding or not, we don’t need a reminder of what we are missing out on! So I searched high and low for an option that would tick the sugar free box, and I found an option I knew would come close to providing some sort of cake relief – and I just happened to have a couple of beautiful organic beets in the fridge ready for the taking. Now…. be open minded to a vegetable based cake. No one likes a vege-ist. And anyway, you like carrot cake right? For the icing – if you aren’t sugar free, you could do a normal icing. If you aren’t dairy free you could do a philly cream cheese icing (aka banana or carrot cake). If you are sugar and dairy free you could do a coconut cream or cashew cream icing (these recipes are also in Sarah’s book). ** I can’t justify having vanilla powder in my cupboard – but open to invest in the future as many of Sarah’s recipes include it. So in this instance, it was a teaspoon of vanilla extract for me. *** Taste the batter before you commit to the oven! If it’s not sweet enough add some more rice malt syrup. Everyone’s tastebuds are different and especially with the earthiness of the beets, you might want to up the sweet stuff to more easily convince friends afraid of a sugarless lifestyle and wary of your vegetables moonlighting as cup cakes. But, if you want to use the white stuff, go ahead. Just not sure how much you would need… maybe to taste? 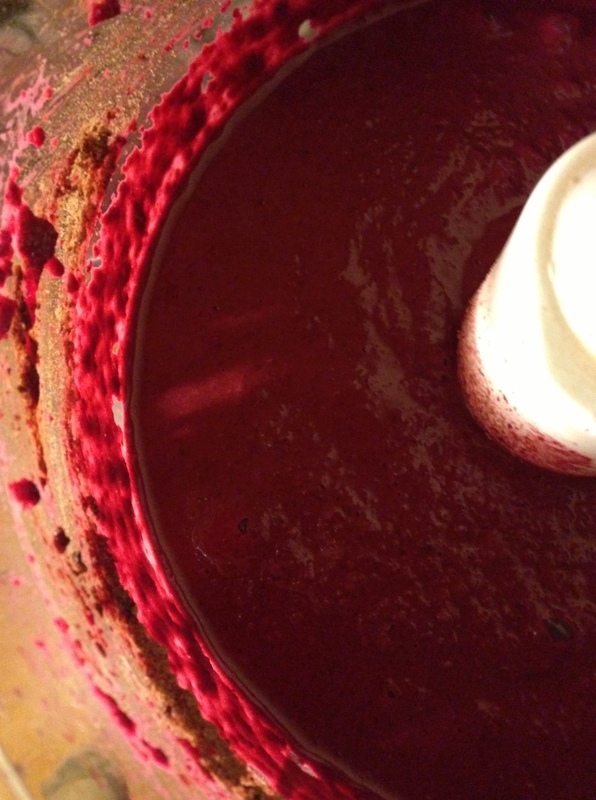 The super pretty redness of the beetroot make this cake mix look more like a science experiment… but a delicious one. Preheat oven to 170degs and grease a 12 cupcake tin. Blend together in a blender (or go crazy with a stick-blender, thermomix, food-processer…. whatever floats your boat), until nice and smooth. Divide between the 12 cake tin and pop into the oven. My little baby in all its red-guilt-free-glory: Enjoy! This sounds amazing – thanks for sharing! I want to make it for a friend who is both gluten and sugar intolerant – but I’m not so great at understand the gluten part. Is this recipe completely gluten free? And if not, do you have any suggestions for how to make it so? Yes always tricky when trying to make sure you have people’s intolerance’s covered. There are just 2 things in this recipe you need to be careful of that can make it a bit ‘iffy’ on the gluten free side of things…. You can buy gluten free varieties and use it the same as you would normal baking powder. Just make sure the label indicates it’s gluten free. In this recipe, I use a rice malt syrup. Rice Malt Syrup is a grain based product and whilst it is gluten free, it is manufactured in many facilities that also use other gluten based grains in production. So if you aren’t sure if the brand you can get your hands on is gluten free, you could use another sugar substitute like stevia, or xylitol. You could also use honey or coconut sugar if your friend is on a sugar-free plan that indicates these are ok. For me, I avoid these for true sugar free eating.